The instructions were very straight forward on getting the projector housings in place but I can't fingure out how to get these Kensun HIDs secured into the housings. 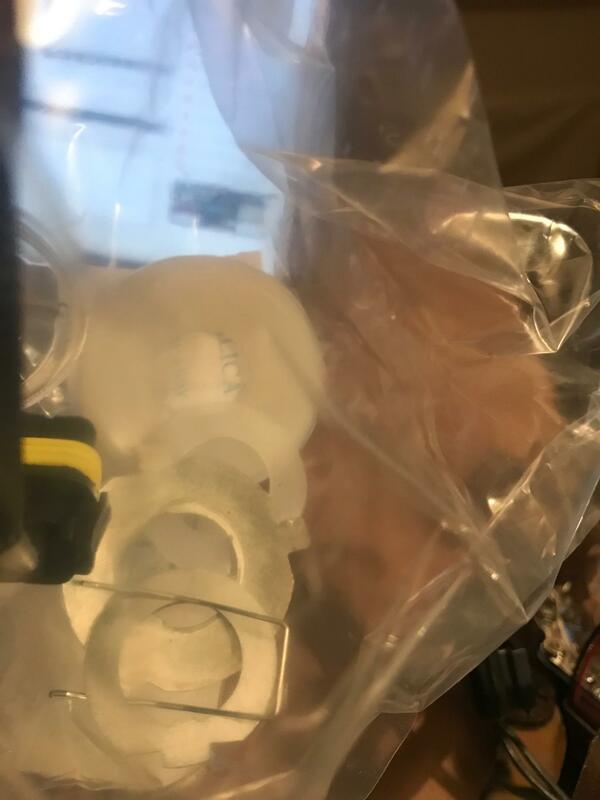 I am just guessing as I do not have these, but it looks like the spring clip you show with the leftover hardware fits into the two holes at the top of the housing seen in your first picture. The spring clip likely swings down over the bulb, holding it in place. I can confirm that's how they install. 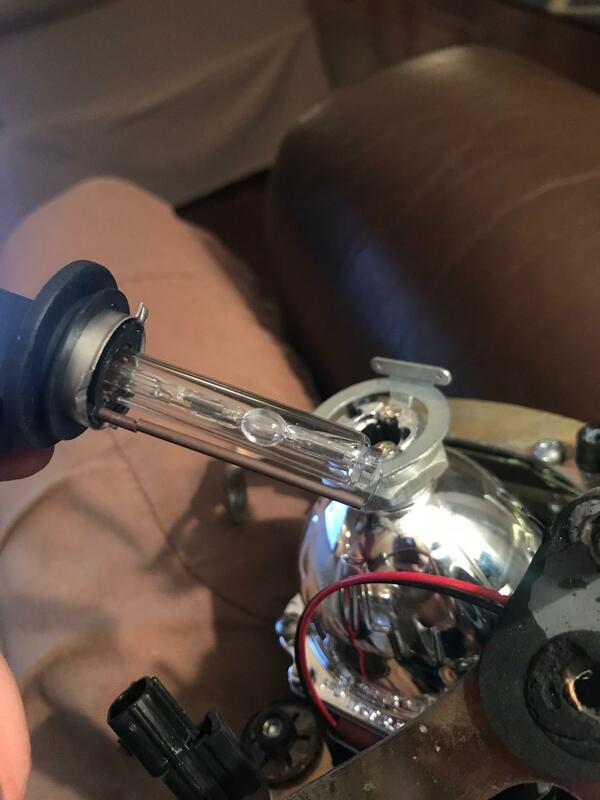 You put the bulb in then stick the ends of the little wire clip into the 2 holes, with the bend in the clips facing in so it puts pressure against the bulb, then push the clip down over the little piece that sticks out on the opposite side of the housing. Can be a bit of a pain to get the clips on there, but they need to be nice and tight like that to make sure the bulb stays in place.